Spring is here! and with it comes a welcome rush of gig requests for bridal showers, birthdays and summer weddings. I love talking with new and repeat clients about planning their special events and details to make the show perfect. 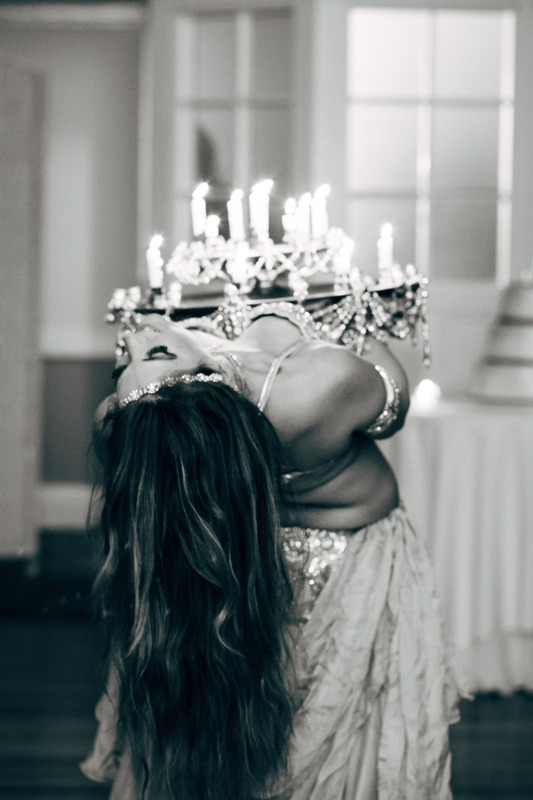 How much does it cost to hire a bellydancer? The typical rate for a solo bellydance set in the New York area ranges from $250-$400. We perform everywhere from intimate family parties to opulent weddings and corporate events and a single show is 15-30 minutes in length. Now, if you are thinking in terms of a hourly rate, that can definitely sound high! But before you look for the cheaper option, consider that there is a lot that goes into that ‘simple’ 20 minute show and the quality of your experience can vary widely. So what are the factors that go into creating a great show? And how do they contribute to the final rate? What should you look for when hiring a dancer? While restaurant gigs are often routine and can be in and out the door in 30 minutes, a dancer typically spends several hours preparing for any show at a private event. This includes taking time to talk to the client about the event details, discussing special costume or prop requests for the show and what will work best at the venue. Also, arranging logistics of music and timing or any possible ‘surprise’ element of the show. She will then create a custom playlist, talk separately with the DJ or venue if necessary, and have backup music sources. On the day of a performance a minimum of a couple of hours is set aside for makeup, hair and seeing that costume, props, music and accessories are all in order. Once she’s ready, the dancer has to travel to your event. Depending on the type of event, she will plan to arrive 15-30 minutes before showtime. Enough travel time must also be allotted to allow for traffic or any other normal delays. Of course dancers will book multiple gigs on one night when possible, but more often that not, time and travel constraints limit the bookings we are able to take. I have seen dancers who undercharge and overbook, rushing in late and stressed, making other performers or vendors behind schedule in the process. I’ve also received countless calls from clients who hired a budget dancer who got a better offer, and left them hanging at the last minute. Choose a dancer who values your time as well as hers. Typically, rates for weddings or other large scale events are on the higher end. This is because formal events, even smaller ones, are usually highly scheduled with speeches, cake cutting, dances etc, a professional dancer will know to allow for some flexibility, but she must charge for her time as well. Aside from the work that goes into preparing for each single performance, a professional belly dancer has also spent years in training and refining her craft. This includes not only her dancing, but cultural information, showmanship, costuming and presentation. Just as with any other artist (your floral or dress designer for instance) It is those years of experience that determine quality of the end product you see, not just the time spent on the day of the event. – Costuming: Professional bellydance costumes range from $600-$1000 and up. Performing in them causes wear and tear and they must be regularly repaired, rotated and updated. – Props: Swords, Candle Trays, Wings, Veils etc., are also costly for high quality items. – Continued training: A dancer of any discipline will always continue her dance training through classes, workshops and practice. In addition to this, Fitness training and physical care are an absolute must to keep us in good shape and avoid injury. In addition to these dance related costs, we are also freelance business people which means, like any business, our prices must also pay for: websites, advertising, promotional photos, videos and other materials. We also spend countless ‘unpaid hours’ on the phone or computer doing admin work. And, of course, since this is our job, it must pay for our living expenses as well. So, I’ve explained her that a professional dancer’s rate is determined by what she needs to pay for her time and expenses and make a living in the process. But I know that what really matters to you is the value she can bring to your event. Keep in mind that entertainment is not the place to cut corners! Guests may forget your place settings tomorrow, but they will remember a spectacular performer who had the room up dancing for years to come. A performer who invests in herself and charges accordingly will deliver an unforgettable show on the day of your event. So, what should you look for when hiring a dancer? -All pro dancers have beautiful photos in abundance, but I encourage you to look at video. Most dancers have video on their websites as well as recent live performance clips on the Facebook or Instagram pages. Also look for reviews and testimonials. Remember, you are hiring a dancer who you is to keep your guests engaged throughout her performance. – Does she answer your questions about the show confidently and does she ask you details about your event? An experienced professional will ask you first about the type of event, venue and what you have envisioned and will then offer suggestions based what she knows works from her experience. – Does she take a deposit and offer contract? Often dancers will only require an email confirmation for small parties, but a contract is almost always needed for larger events. A deposit is almost always necessary. Deposits and contracts are an assurance for both parties. A professional dancer will only cancel a booked show if absolutely necessary and if she must do so, she will take take the time to find you an equally talented replacement and never leave you hanging! In short, do a bit of research when hiring your entertainment and don’t be swayed by bargain pricing or the flashiest promo. A dancer who cares about providing great service will be happy to talk to you about what she does.